In the mid-1820s, the system of naval government which had evolved during the 18th century was replaced by the constitutional arrangements usual for a Crown colony. The governor, appointed by the British government, administered the colony with a number of appointed officials, collectively known as the Executive Council. They operated within a legal framework established by the British Parliament, but specific local regulations were set by the governor, and customary law was often determined and applied by the courts. There was no legislature. In the aftermath of the Napoleonic wars, the population of Newfoundland grew to a point where some residents felt that they should be able to elect representatives to a legislature which would make local laws. Recent immigrants, such as Patrick Morris, from Ireland, and William Carson, from Scotland, campaigned for representative government - the system in place elsewhere in British North America. Carson, a 19th century Newfoundland reformer and politician, campaigned for representative government. Morris and Carson blamed many of Newfoundland's problems upon a "despotic" British administration and argued that representative institutions would help bring about greater prosperity. They were right to point out that Newfoundland deserved representative government, but they also had personal ambitions. At the same time, many of the merchants who dominated the local economy opposed the granting of representative government, arguing that the cost of a legislature would have to be born by taxes - which would raise the price of producing fish and hurt business. Other merchants supported representative government, if only because a local legislature could prevent the government from raising taxes for a project that did not benefit the fishery. The bill to grant representative government to Newfoundland came before the British Parliament in 1832, the same year that the right to vote was extended to many British citizens and the House of Commons was reformed. In the spirit of reform, the Whig government saw the creation of a Newfoundland legislature as something which would benefit the colony, and reduce British expenditures there. After an election held in the fall of 1832, the new system came into operation the following year. As in other British North American colonies, the legislature consisted of an elected Assembly, and an appointed Legislative Council which consisted of government appointees, office holders (such as the Colonial Treasurer and the Chief Justice) and military officers. The Legislative and Executive councils were largely composed of the same group of people. Together with the governor, they were, in fact, "the government". However, the elected Assembly, with 15 seats representing ten districts, could exert some power because its assent to legislation was essential, including measures dealing with the colony's finances. Almost all men were given the right to vote and stand for election. Note that women could not vote, nor sit in the legislature, until the 1920s. In theory, this colonial version of the "British constitution" had the checks and balances that British reformers believed would result in beneficial legislation. But it did not work well in any of the British North American colonies. Elected Assembly members inevitably wanted more power, and thought they were the real government since they represented the people. Members of the Councils feared "mob rule", resisted any loss of power, and blocked measures which might hurt the interests of their class. The nature of Newfoundland society raised questions about the practicality of this form of government. The colony did not have a land-holding gentry class, or much of a middle class - the educated and financially independent groups which dominated the reformed House of Commons in Britain, and whose members were assumed to have the best interests of the country in mind. In Newfoundland, most men were either fishermen or fish merchants. The former were often illiterate or badly-educated and, in the view of the Colonial Office, not suitable to play a role in government. The latter were often short-term residents, tending to return to Britain when they had made or lost their money, and it could not be assumed that they would support public works and services that required taxes to be raised. Given the divisions within Newfoundland society and the nature of the constitution, sharp differences soon appeared between the Council and the Assembly, as was the case in other colonies. These difficulties were exacerbated by the fact that members of the Council were almost always members of the Church of England, while the Assembly included significant numbers of Roman Catholics, Methodists, and members of other dissenting churches. The control of power and patronage by Anglicans was much resented by other denominations. This was especially the case among the Irish Roman Catholics, many of them recent immigrants, to whom the Irish struggle against the British government for Catholic emancipation (granted in 1829) still seemed relevant. Religion and ethnicity were factors as important as class in the Newfoundland politics of this period. The Roman Catholic bishop, Michael Fleming, was himself an immigrant from Ireland, and pursued an "Irish nationalistic" agenda. He saw himself as the leader of the Irish community and was not shy about taking on the local British establishment, much as his friend and countryman Daniel O'Connell was doing at home, especially since he felt threatened by the Church of England's attempts to counteract growing Catholic influence. While some "Tories" - supporters of the governor and council - were elected to the Assembly, it quickly became dominated by "Reformers" or "Liberals" (mostly Roman Catholic or Methodist), who wanted to gain greater power and influence. For the first few years, Reformers fought with the council for control over spending and government appointments. The struggle spilled over into inflammatory newspaper editorials, and lawsuits between increasingly bitter rivals. Tensions were made worse by the actions of partisans on both sides of the divide. Bishop Fleming intervened to get particular men elected, raising in the Tory minds the specter of a "priests' party" dominating the Assembly. 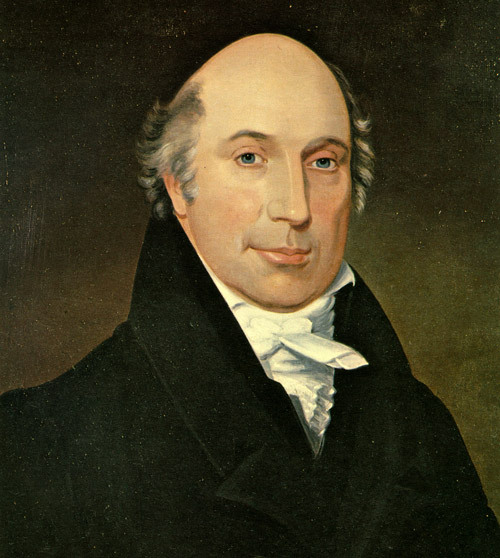 Protestant newspaper editor Henry Winton engaged in a campaign against priests' influence in politics, and Chief Justice Henry Boulton was aggressive in his active partisanship against the Reformers. Chief Justice Henry Boulton (1790-1870), n.d.
Boulton was not a supporter of the Reform party. From D.W. Prowse, A History of Newfoundland, from the English, Colonial, and Foreign Records (London: Macmillan, 1895) 434. Politics was tumultuous both outside and inside the legislature. Since there was no secret ballot, voters had to stand and be counted at polling stations - providing fine opportunities for violence and intimidation. On several occasions, troops intervened when angry crowds confronted each other during elections. In a famous incident in 1835, Winton was assaulted by masked men and had his ears mutilated as retaliation for his newspaper's campaign. The Assembly's sessions were dominated by questions of privilege, and on a couple of extreme occasions the Reformers attempted to imprison those who did not accept the Assembly's authority. Often, the Legislative Council refused to approve bills that encroached upon its prerogatives, or the governor declined to sign them. But despite the tumult, some useful legislation was enacted, and outside political circles most people carried on with their lives as usual. An attempt to bridge the many divisions in Newfoundland society and public life was made by the Newfoundland Natives' Society, founded in 1840. The society wanted to advance the careers and interests of native-born Newfoundlanders, no matter what their ethnic origin or religious affiliation. Newfoundland-born Roman Catholics who opposed Fleming's influence were able to work with Protestant reformers. This marked the arrival of a new phenomenon, Newfoundland nationalism. From this point on it was possible, although not always easy, to unite Newfoundlanders by means a nationalist appeal. It was a small movement but a significant development. By 1836, Protestant merchants and their Government House allies had come to understand that they would not be able to control the Assembly, which would always have a Reform majority. As result, most merchants decided not to run for election, gave up on politics and left it to the Legislative Council to block measures which would be to their disadvantage. Many merchants had opposed local government from the beginning. The power and activities of the Liberals, and the growth in government spending, seemed to confirm their worst fears. The Colonial Office was not disposed to abolish representative government, but began to consider ways to end the constant warfare between the elected Assembly and the appointed Council. Between 1842 and 1848, therefore, the Colonial Office tried a new experiment in representative government - an Amalgamated Assembly. The Assembly and Council were merged, with some elected members sitting in the same chamber with a number of appointed members. The two groups had to work together, but it did not join them together in any common cause; and since the experiment was temporary, there was only a brief break from the political fighting that had made the first ten years of representative government so difficult. Moreover, one of reasons the amalgamated system worked was the political skill displayed by a new governor, Sir John Harvey. After his term ended, the re-emergence of party politics made governance very difficult for his successor, particularly because attention was now turning to the new concept of responsible government. This reformulation of colonial government derived from problems experienced elsewhere in British North America. It was close to actual practice in Britain, and remains the basis of the constitution that exists today. The fundamental requirement was that the Executive Council - which we call the cabinet - had to be drawn from members of the political party holding the most seats in the Assembly. The leader of that party became the premier. 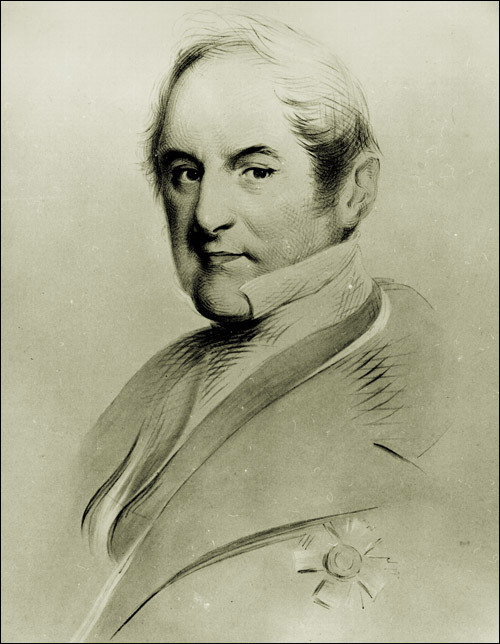 Sir John Harvey (1778-1852), n.d.
Harvey, governor of Newfoundland from 1841-1846, was partly responsible for the revised constitution which amalgamated the two houses of the legislature. Artist unknown. Courtesy of The Rooms Provincial Archives Division (VA 27-39a), St. John's, NL. The campaign for responsible government in Newfoundland was started by a coalition of Reformers - both Roman Catholic and Methodist - and some of the native-born. They felt that Newfoundland should enjoy the same constitutional status as other colonies, which began to receive responsible government in the late 1840s, and that elected Newfoundlanders rather than Crown appointees should set government policy. They were opposed by the Tories and their allies, all of them Protestant, who feared both loss of office and a Reform/Liberal government dominated by Roman Catholics led by their bishop. These tensions came into the open once the amalgamated system expired in 1848 and the former constitution was restored. There were other, difficult and bitter disputes over patronage and the management of the denominational school system which further divided the Anglican community from Roman Catholics and Methodists. But after years of antagonistic rhetoric, rival deputations to London and legislative deadlock, the British government decided in 1854 that there was no defensible reason why Newfoundland should not have responsible government, given that it had been instituted elsewhere in British North America. There were doubts in London, and a mixed reaction in the colony. The system was to last until 1934.